Data science for kids! : Data science for kids! Two weeks back, we decided to experiment teaching data science to 6th-9th graders! We think it is important to introduce students to thinking in a data-driven way early on in their lives; also kids are way more fun to work with than higher-ed students, so it was an easier choice for us to make! We sent out a form asking kids to apply to our cool Kids Data Camp - the first in the world?! We thought kids in 5th grade would have been too young and those in 10th would be more focused on school academics. We had 18 people apply to us, with most of them interested in science and math and a few in history/arts. This weekend, we had 14 people turn up (there was no selection barring self-selection). This included one 10th grade student and one sophomore undergraduate who tagged with the group to learn! Some kids came in early. We put on a Youtube video on Scratch for them. It was fun to discuss it with them and they related it to Lego right away. We asked kids to install scratch at home – and make a dancing Shah Rukh Khan (famous Bollywood movie actor) on it and also have him jump around from one building to another! Once all the kids had assembled, we had a quick ice breaker. Parth and Abhishek, interns from IIT Kanpur, divided senior and junior students in two sets in order to pick one from each to form a group. A simple way to maximize group success- read here to learn how they did it ! We designed the following exercise: Every kid will get a set of 48 faces with names and their hobbies. The kids had to give a rating of 5 if they will make the person a friend, 1 if not and could choose other numbers in between. All the 7 groups completed the exercise with one mentor each. Out of these we pulled 16 samples out as a validation set :) The ‘train’ data sets were then exchanged among groups. We then asked the following: if we wanted to know what kind of people does Raghav (one of the kids) prefer to make friends, how could they infer this by going through these sheets? One of the kids suggested that we could look at what kind of games his friends played and then tell accordingly. We asked what else? We then introduced that it could be that some of the kids prefer making friends with boys and some with girls; we asked a boy whom does he prefer to make friends with more often - he said boys; couple more said neutral. Then we discussed two more features: we had smiling and neutral faces – would some people make smiling people friends more often? And also, we had old style names and new names – would some people prefer to make folks with new names friends more often? Kids seemed to have understood that people could possibly, not necessarily, make choices on this basis. For the workshop we decided to go with three features: gender, hobby and name style. Question 1: Is this kid a friendly person? The first task of the kids was to find if the person they were analyzing was a friendly person or not - will s/he more often make friends than not. To get this right, kids had to simply count how many people were marked each as 5, 4, 3, 2 and 1. Some of the kids used filters to do this and others counted manually. They finally made a graph. Here is the first graph we discussed with the whole group, where the red bar depicted percentages and the blue bar depicted the actual number in each bin. 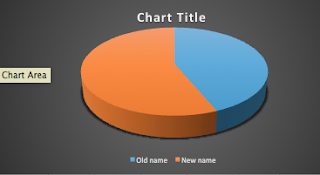 Then we discussed couple of more graphs of other kids. We said statements positively J: V makes lesser friends, but that is because s/he likes to spend time studying. One group said, she is confused since she had many may be/may be not: we corrected: not confused, she takes time to decide who to make a friend or not, because she could possibly be thinking deeply about it. Question 2: What kind of people does s/he prefers making a friend? This was fun! Our next exercise was that they had to find among the people the person chose to befriend, were there, say, more males than females? And similarly for other features. (We had created a balanced data set with 50-50 of each feature type; this created a simplification that we did not have to see the non-friends group) Again kids used filters and counted for input variables of the two types and plotted graphs. We had already inserted a template for the kids to put in their counts in their excel sheets; then plotted the graphs themselves. So, we learnt – the student for whom we’d made this graph definitely likes to make friends with people who plays outdoor games – this is a clear trend. 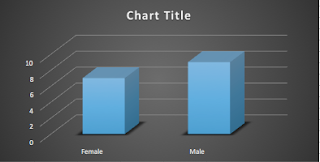 Next we talked about gender – the person makes male friends slightly more often; but this trend was not completely clear, since the difference between males and females is too little. It needs further investigation. Same for the third feature. Ideally we wanted kids to make a predictor with a simple point based system, but we didn’t get there. We however went ahead and took the example of the kid just discussed, who had shown outdoor games as the key deciding factor, and considered that feature as the predictor – we took her ‘validation’ data from the envelope and saw how we well we did – it was only ok, honestly! But kids got the concept. They could predict unseen data based on a set of seen data. [Edit - June 27th We decided to do a small follow-up session to close the loop and actually build the predictor. We worked with three kids this time on (rest were holidaying around the world, our ambassadors!). We re-did the whole exercise with the kids as a re-cap and came to the stage, where they identified 'features' - those that were overrepresented in the 'make friend' set (See table below-second column). For gamma, whereas there was a difference, it wasn't as much. Who to make a friend? Then kids made a simple predictor with one feature (such as, =if (c23=”Indoor”,5,1)). Each one wrote their own after we showed an example. Then they found the accuracy: simply typed in an adjoining column 1 if the predictor and the actual matched and 0 otherwise, then counted the 1s and got the percentage (Column 3 in table above). One kid actually predicted the accuracy saying it would be same as the percent they calculated to draw the feature graph -- smarter than we think! Then came the real test -- we took out the envelopes containing the unseen test and we manually marked each one we got right (ideally to be done in excel!) - kids were so happy everytime we did it right and low when we didn't :) - we were nervous! Finally, kids were super-happy seeing the high accuracy each of their predictors had. We asked why did Gamma have a low accuracy -- after some struggle one did say, because the difference for 'new names' feature wasn't high. Thus the kid predictors shined doing much better than the predictors we make all the time!!! We then got a data release form signed from them and explained to them that they have the right that their data isn’t publicly disclosed and we seek their permission – we will anonymize their data. One girl opted out. Rest of the data can be found here. When one of the authors asked with a wink how many from the gathering would like to come over for a part 2 of the data camp the following week, ten of them raised their hands :) A good test for us. See the kids’ blog entries here and mentor experiences here! Harsh also suggested to them that they should start making data entries of their expenditure and pocket money! Some really interesting suggestions came from kids regarding what they would do with this knowledge. Do note, that we were using lot of assumptions to simplify this – correlation vs. causality, balanced sets, no significance testing, small sample size, etc. Our aim was to lead them to a naiver naïve bayes. We think this is a fine approach like the famous Arundhati nyaya. We didn’t have a what-next? A strong take away, resource sheet and continuity. And of course, this is just the TIP OF THE ICE BERG! Thanks Harsh, Bhanu, Nishant, Gursimran (for the photos also! 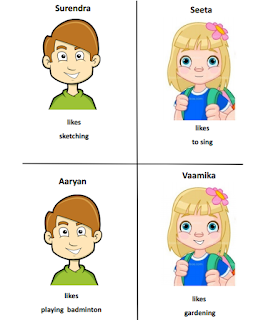 ), Parth, Abhishek, Vishal, Samarth – good show. Thanks Una-May for the encouragement and helpful ideas! If you want to replicate this exercise in your backyard, feel free to use all our material. We've rigorously documented the entire workflow here. Do write to us to let us know how it panned out! I am very impressed with this data camp for children. Appreciate all the efforts by the team members... Good Job. Great way to catch them early to think the data driven way. Good work. Nice initiative, would like to be part of it. People and society - fantastic job!!! Thanks a lot, Angela. Have you managed to run this in your son's class? Would be great if you could let us know how it went. I'm interested in conducting this along with some programming exercises that i have planned. Could you share more details. Thanks in advance! Sure, Soma. We'd be happy to get on a call. Will contact you through your email id. This is quite helpful for kids. I would like to teach these to a bunch of kids in our neighborhood. thank you, jacek for pointing us to Przemuslaw's work in this area! we skimmed through some of it and it looks exciting. will see whether we can make the best of both our approaches. High school students teach elementary school students, raise money and fund college scholarships for underprivileged students. Hope we can connect and use this knowledge for the greater good ! great to hear of your interest, latha! we'll get in touch. Hi, I am a Data Scientist by profession and run a STEAM themed hands-on program for kids called CuriousHearts&Minds. I would love to incorporate this DataScience activity in one of my workshops. I am interested in how I can take this collaboration further. Please reach out to me at bharathi.vedula@gmail.com. great! will get in touch with you. I would love to engage in this exercise. I am at Pune! Let me know how we could adopt this for our neighbourhood kids..